Minerva Crafts stock everything from fabric to sewing patterns, notions and sparkly trims…I spend far too long browsing there, it’s almost as bad as cat videos on YouTube! Vicki and I had a great chat about their fabulous blogger network and she shared some behind the scenes info. Hi Vicki! First up, tell us a bit about your company. How did it start, where are you based, what kinds of products do you sell? Hello! My name is Vicki Ormerod and I am the sales director here at Minerva Crafts. The company was set up by my parents 20 years ago when I was eight years old. My mum has always been a creative person. She sews, knits, crochets, embroiders and does all sorts of different crafts. My dad on the other hand has run his own businesses for most of his working career, so opening Minerva Crafts for the two of them was the natural and inevitable path. I have always been involved in the business since I was eight, and now 20 years later I am really proud of where we have come. The business has gone from strength to strength and we now sell our products all over the world from our warehouse and offices which are based in Darwen (Lancashire). We specialise in dressmaking fabrics, haberdashery and sewing patterns. We also sell a huge range of knitting and crochet products, embroidery and quilting supplies, as well as crafty products for bridal accessories, card making, jewellery making and so much more. Our product range is huge! We currently have over 100,000 products for sale believe it or not and the range is always growing! What do you love the most about working at Minerva? I love so many aspects of my job. I thank my lucky stars I have a job I am so passionate about. Sourcing new products and listing them on our website is probably the best bit. I love buying new fabrics especially! I also love the business side of things too. We have grown so much as a company over the last few years and I am really proud to have been a part of that journey. Of course! Our warehouse is split into 3 main sections. The largest area is for fabrics, then we have a huge section for knitting yarns and then thousands of square foot for all our haberdashery and smaller items. We have been working really hard behind the scenes on the infrastructure of our business over the last 12 months. Customer service is our top priority and this is what we are always working on to improve. I always try to put myself in the customers shoes and think what would I want as the customer. You might have noticed recently our website has had an huge upgrade. It’s now much easier to search through our exciting product range to find exactly what you want – especially our sewing pattern search facility of over 7,000 patterns. We have also added new features such as our thread matching service to make it easier to buy everything you need for your project all in one go. That’s a tough one! My mum and I are currently making my wedding dress (I am getting married on the 4th of July this year), so right now we are sewing with beautiful bridal fabrics that my dress and the bridesmaid dresses are being made from. So I guess I would say these fabrics we have chosen are my current favourites as they are for such a special project. Im also making a few dresses for the honeymoon and we have some fabulous jersey fabrics in right now that I’ve chosen to make them in. I also love our new chambray fabrics, bias bindings and piping cords – I’m planning what to make with them next! 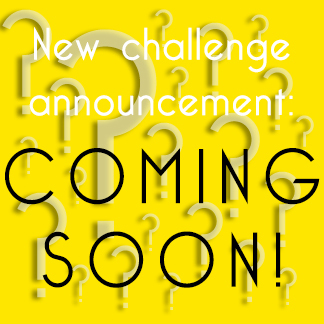 Are there any exciting new items just arrived or coming soon to your store that you’d like to share with us? We have so many new products due in in the next 3 months it’s hard to keep up! We have some gorgeous new knitting yarns due in soon. I love crocheting during the summer months and these will be perfect for some projects I have planned. Of course we have loads of new fabrics due in (as always!). Some of my favourites of those coming in are printed jerseys (I’m a big jersey fan!) and there are some absolutely beautiful cotton lawns and poplin prints too. My sewing to-do list is ridiculously long. Every fabric we choose to stock wants to work it’s way onto my sewing to-do list. As you can imagine, with the amount of fabrics we stock, it wouldn’t be possible to sew all these up in a lifetime! We also have a fun range of printed felts coming in shortly, I think these will be really popular! You’ve created a fantastic craft bloggers network – can you tell us the story behind that? How did it all begin? How do you choose bloggers to be involved? Thank you very much! We are all really proud of the blogger network. I think it is a fantastic resource of inspiration and ideas for crafters. It all started with a conversation between myself and Rachel from House of Pinheiro at a sewing meet up down in London a couple of years ago. Rachel helped us find the first 8 bloggers to join the network and we have never looked back since. We get so much lovely feedback from our customers saying how the bloggers have inspired them to get back into sewing, or to try something new. I feel really lucky to be involved in it as it inspires me everyday! Bloggers apply to be in the network via our website. We try to have a really good mix of bloggers covering different crafts, abilities and appealing to different age groups and styles, so who we choose is based on these things. What are your favourite three creations in the Minerva network so far? There are so many projects I love on the network, but if I had to choose I think I would say Nicole’s Red Vinyl Valentine Coat (for the sheer wacky-ness of it!). Rachel’s Floral Dress was the first project ever on the network and is still one of my favourites, it’s such a pretty fabric and pattern combination. Winnie’s Cocoon Cardigan has always been a favourite (I have some of that fabric stashed ready to make up!). I also loved Maria’s recent Hunger Games inspired Active Wear project. But gosh, there are so many of my favourite’s I have missed out! Do you sew or knit or craft yourself? What do you enjoy making the most? Yes I do. I enjoy sewing, knitting, crochet, cross stitch, embroidery, felting, making cards and Ive done a little bit of jewellery making too. Nowadays I spend most of my free time sewing. I love the idea of creating a me-made wardrobe. I knit and crochet a little but am terrible for not finishing these projects! (My mum is the much better knitter and crocheter than I am). Pretend we’re sending you on a deserted island sewing holiday. We’ll give you a machine and all the notions you’ll need, but which 5 items from your store would you bring with you? If I had all the notions I would need then I would take patterns and fabric. I love McCalls pattern 6504 which is a semi fitted fit and flare dress made up of lots of panels. Ive only made it once (picture below) and I keep meaning to make a few more. I think to have one made in a plain fabric (Im thinkingponte roma), will be a really good dress to have in my wardrobe that will get lots of wear. I might even take the Butterick walkaway sewing pattern. Since this was on the Great British Sewing Bee Ive been meaning to have a go. I already had the pattern in my stash before the show, so when it aired and I saw everyone’s versions of the pattern I knew I had to dig it out and put it higher up the sewing priority queue! I’m thinking of making it in one of our lovely stretch cotton sateen fabrics – but I still need to decide which one. I’d also have to take my magnetic pin dish – it drives me crazy sewing without one of these, they are so handy! A Prym magnetic pin dish!